Have you been looking to enroll your children in a private school in College Park? There are plenty of benefits to doing so; children in private school do better academically, and St. Charles’ Catholic-based education gives children the environment they need to grow both academically and spiritually. Our location in College Park helps us to serve the greater Orlando community, while also being a convenient location for students in the neighborhood and families with children attending Bishop Moore Catholic. At St. Charles Borromeo, we believe that students should work hard, play hard, and pray hard. We offer an environment that serves as the building blocks children need to become respectful, responsible adults who follow in His footsteps. We cultivate respect between both our faculty and our students, prioritize student learning and excellence, and give our students plenty of opportunities to give back to our community. St. Charles accepts students from Pre-K3 – 8th grade, helping to build a foundation for excellence in young students. Although we do not teach high school, you won’t need to search far to find another great private school. 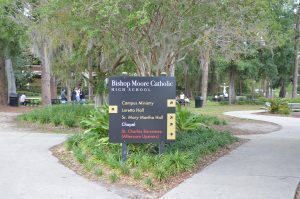 We’re on the same campus as Bishop Moore, a Catholic high school that students from St. Charles can seamlessly transfer to in order to continue their Catholic education. If you enjoy the education your child has received at St. Charles Borromeo, you’ll be able to enroll them in a school that will continue building on a strong foundation—without having to possibly travel further to a new location every morning. 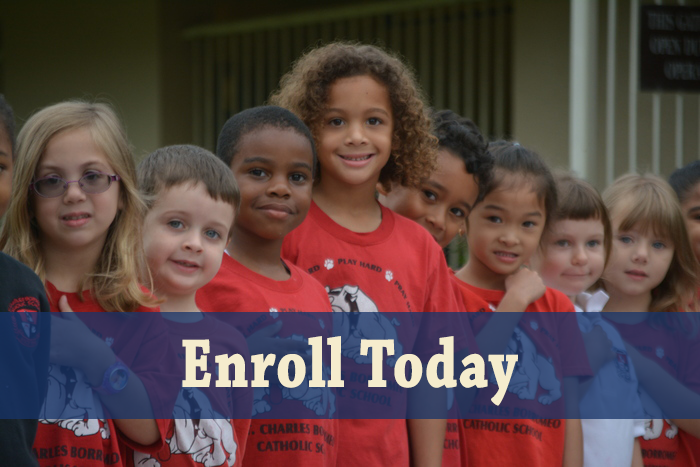 If your high school children are already attending Bishop Moore, but you have younger children you want to enroll in a Catholic school, consider visiting us at St. Charles. You’ll have one easy spot to drop off and pick up your children while knowing that they’re all getting an education that is helping them grow academically and spiritually. 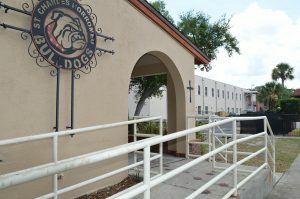 And again, when the young ones graduate from St. Charles Borromeo, Bishop Moore is next door to help them continue their journey toward success. The welcoming community, faculty and students at St. Charles Borromeo are here to help your children grow in a safe and healthy educational environment. It’s easiest to build good habits at an early age, and the lessons learned and habits formed at St. Charles will help prepare your children for success as an adult. If you’re interested in what St. Charles Borromeo, a private school in College Park, can offer your children, look through our admissions page, or contact us today to set up a school visit. We look forward to the opportunity to welcome you into our community.